You are here: Home » Blog » Conservation of Energy is Easy – Are you ready to take that step? Conservation of Energy is Easy – Are you ready to take that step? 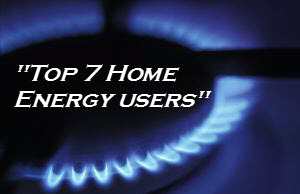 In this short video excerpt that was taken from our monthly ICIC (Insider Choice Inner Circle) members area, you’ll learn about conservation of energy and what the top energy users are in your house or business. You’ll also see a graphical representation of where your home looses most of the heat. You’ll be surprised how many “gaps” your home has and how you are paying for it each and every day. Don’t forget to leave your comments below the video. We would love to hear from you about this video and your thoughts about conservation energy.